Outcomes of promoting social change through synergistic curriculum and building/campus design. Impacts of building systems and resource transparency on student learning. The synergies between green building and impacts on student learning. Unintended consequences and learning opportunities from this project. Bensonwood architect Randall Walter at Greenbuild 2015 with Sheila Kim (left) products editor of Architectural Record and SNAP Magazine. Built and opened to students in 2012, Burr and Burton Academy’s Mountain Campus is an innovative model for place-based environmental education. From campus design and construction to curriculum design and execution, all elements of the process have worked to maximize the success of the program mission: to be a catalyst for student growth as individuals, members of communities, and citizens of a sustainable world. Walter discussed design concepts that helped the campus achieve “net zero” targets, as well as biophilic design, student experiences monitoring the building’s energy performance, living in and caring for the space, and the ripple effects of student experiences. The design, construction and active use process, including initial design goals, site evaluation, review of LEED criteria, design process charette, site schedule and assembly of the building, occupation, and daily and seasonal changes during the first two years of operation were discussed. This award-winning project exemplifies how a school design can benefit both students and education professionals. Emphasis on the connections between effective learning environments, innovative green design, and the natural environment are at the heart of the educational program and creative process for this building. Greenbuild is the world’s largest conference and expo dedicated to green building. The ideals and passion of the green building community come alive at Greenbuild. Greenbuild also brings together industry leaders, experts and frontline professionals dedicated to sustainable building in their everyday work, and a unique energy is sparked. At some point in the decision to buy a home, there comes a critical calculation: Do I build a new house on my own land, or buy an existing one? And if that existing home is poorly constructed or simply outdated, how will that impact me over time? Aside from the obvious fact that existing buildings are where they are, as opposed to where you’d like them to be, they also come with hidden costs that may not be immediately apparent to the average homebuyer. As one example, getting older existing houses up to current energy code, let alone the stringent standards of today’s high-performance buildings, can involve impossibly long payback periods. Mr. Holladay based his finding on a study that was sponsored by the New York State Energy Research and Development Authority (NYSERDA). 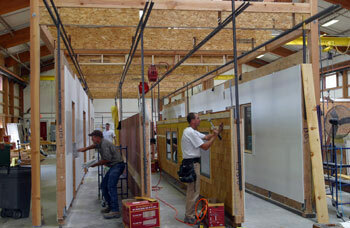 The program, centered in the Utica, New York area, paid for deep-energy retrofits of four wood-framed buildings. So, how were the “deep energy retrofits” defined? In a nutshell, the goal was to reduce energy use by 75% by insulating slab floors to R-10, below grade walls to R-20, above-grade walls to at least R-40, upgrading windows by adding either low-e storm windows or new windows to achieve a U-factor of 0.25, achieving an airtightness goal of 0.15 cfm @ 50 pascals per square foot of surface area, and updating to the latest HVAC systems. In fact, when factoring in the retrofitting costs to the energy savings, at least on houses built in the early 20th century, the study found that the simple payback period was 139 years, longer than the houses were old! So, getting back to the original question, how does the green home buyer evaluate building new vs. retrofitting an existing building? 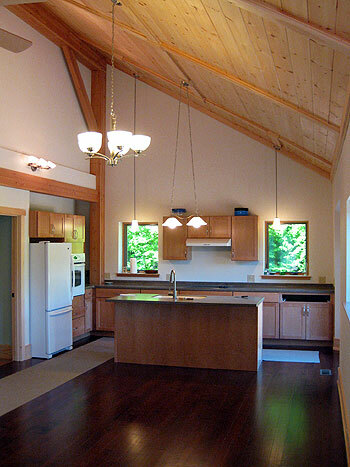 It’s a complex subject with many variables, but what becomes immediately apparent is that it can be easier, more efficient, and in some cases, less expensive to build your high-performance home from scratch than to retrofit an existing older home. That’s not to say that existing homes shouldn’t be updated to improve their performance. 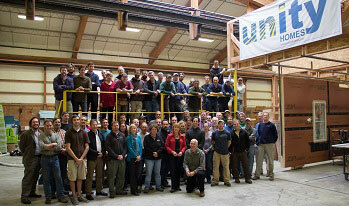 There are many who feel that the greenest building is the one that is already built. Some buildings are indeed worth the investment because of the inherent quality and craftsmanship in their original construction. Moreover, with historical and rare buildings, even condition is relative and preservation may trump energy performance. But some buildings are clearly not worth it for the opposite reason. 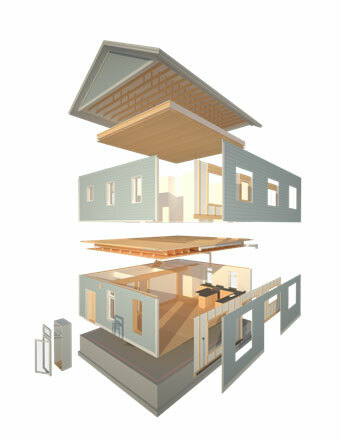 The embodied energy in an existing building is only part of the energy equation. Operational requirements, especially involving fossil fuels, affect the true cost to the owner as well as the environment. 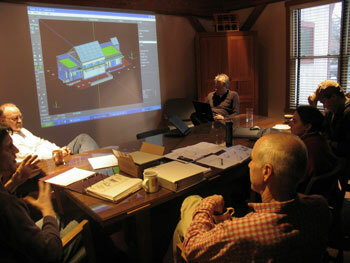 Every energy retrofit should begin with that calculation. Better technology and systems for economically achieving deep energy retrofits need to be developed with an eye towards getting the cost down. There are some very interesting scanning technologies available today that just may be a way to get there. It’s important to note, however, that most of the homes needed in the next 50 years (because of population growth and demise of existing stock) are yet to be built. The next generation home HAS to be much better in every respect, but especially in the elimination of fossil fuel dependence. Thankfully, the technology and systems for building sustainable, healthy, Net Zero-ready homes (with Passive House levels of air tightness) are available today. Either way, to achieve the aggressive environmental goals the U.S. has set for the coming decades, all buildings (which account for over 40% of total US energy consumption) will need to do their part in forestalling climate change. Moving from a cherished mid-nineteenth century farmhouse, why did you decide to build new? For the past 37 years my wife and I had been living in a 150-year-old Greek revival farmhouse on 40 acres. Retired now and in my mid-sixties, I wanted to downsize somewhat but wasn’t willing to compromise on what I had. Ultimately, three or four things came together in making the decision: First, I wanted to downsize to make it easier on myself. Secondly, I had made a deadline to retire from my job. 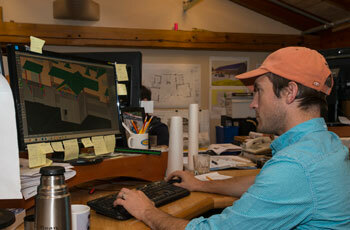 Third, we wanted to move closer to family and my wife’s work: she works at Lyndon State College. 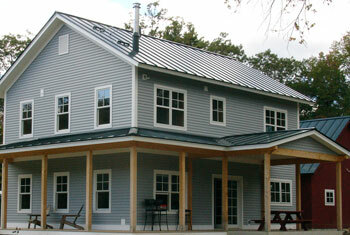 Lastly, I wanted the new energy-efficient home to be a reward for all our hard work. Why did you decide not to renovate your old house? Our drafty old house cost $2,400 a year to heat, but that wasn’t the main consideration for building new. I had an energy audit done by the Efficiency Vermont folks, which showed us where the problems were, but I wasn’t willing to compromise the architecture by adding layers of insulating material over architectural features. I didn’t want to see beautiful Vermont granite block covered by insulating board. I know you were anxious to get into your new home as soon as possible. Did that affect your decision in choosing Bensonwood? To be honest, I would have preferred the overall quicker turn-around that the pre-designed Unity Homes plans offer. We didn’t necessarily need a custom house designed from scratch, but we wanted more customization than Unity Homes could provide, so we went with Bensonwood. During the planning stages, we gave quick answers to questions posed by your architect Chris Adams and project manager Tony Poanessa in order to move the process along. We didn’t want one day lost. Our old house had sold in four days, much quicker than we thought, but that meant we needed to rent while our new home was being built. Our old 40-acre property was deemed organic, which made it of special interest and why it sold so fast. The Jasper Hill Farm cheese people bought the home and property. Among the many renowned cheeses they produce is the organic Bayley Hazen Blue cheese you find featured on high-end restaurant menus. So while the design process turned out to take a bit longer than we expected, the construction is going quickly and we should be in by the holidays. What were your design considerations? I wanted to start with a clean sheet of paper. I basically wanted to repeat my setup by building a farmhouse with a garage that looked like a barn. In my old house we had a four-bay garage and a large woodworking area. And while I wanted to recapture some of this space, I didn’t want my new house to look like a McMansion, with an enormous looking four-bay garage, that would stick out like a sore thumb in its rural Vermont setting. So we wanted the garage to look like a barn, with red-stained, rough-sawn, vertical siding—to make it look like two buildings with a connector. In the broader sense, I have a real sense of place. We very much wanted to blend into the local vernacular. The home needed to look like an old New England farmhouse, not Adirondack style with orange stained siding—or modern looking, which might look fine in a lake or mountain setting, but not where we wanted to build. It had to look right in its farm setting. We didn’t want our new neighbors to be upset by what we built. 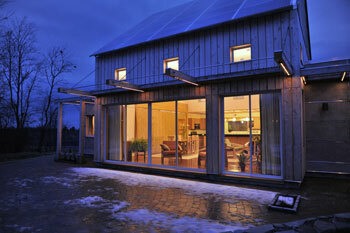 Given Vermont winters, what were your energy considerations? Our new house, situated on 23 acres with a nice view, is in the middle of a field, with no trees so there are no shadows. We sited the garage due south, so putting PVs (photovoltaics, aka solar panels) on just one side of its roof will be more than adequate to supply all of the home’s electrical needs. We’re using a heat pump system for space heating and cooling and for hot water, with an ERV (Energy Recovery Ventilator) to recapture energy. I think the whole PV system cost $15,000 after tax credits. We had radiant heat tubing put in, just in case, but I don’t think we’ll really need it. The house, designed for Net Zero performance, is all electric—with the exception of a gas cook top. What could Bensonwood have done better to improve your experience? We felt we were flying half blind, not being able to walk through a Bensonwood home at the time, in order to say we like this room in this house, and that room in that house. We were shown many plans and pictures, so we knew the quality, but that’s not the same as actually standing in the home and getting a sense of what it’s like. I’m sure not everyone wants people traipsing through their homes. And I guess it’s not practical to have a model home near your facilities, but that might have helped. 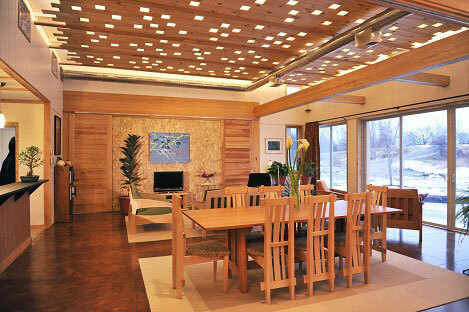 On a related subject, how would you feel about your home being used as an example of state-of-the-art energy efficiency? Situated where we are, within a mile of Lyndon College, with its degrees in Environmental Science and Sustainability Studies, and our proximity to the Fairbanks Museum & Planetarium, with its meteorological focus (they provide Vermont Public Radio’s Eye on the Sky weather forecasts)—I know there’s going to be a lot of interest in our high-performance home. A featured speaker at the Guild’s October 10th conference, Tedd Benson delivered the keynote address: “New House Rules: Achieving 21st Century Sustainable Dwelling.” In the address, Tedd spoke of the paradigm shift and industry overhaul necessary if the carbon neutral goals of the 2030 Challenge are to be met. In the talk, Tedd emphasized that the building industry needs to create a new vocabulary, better work culture, and ever-greater efficiencies. From there, Tedd spoke of how Bensonwood and Unity Homes have been taking on this challenge and leading by example. At the outset of his talk, Tedd set a hopeful tone by offering a 2012 quote from New York Times columnist, Thomas L. Friedman in his Op Ed piece, Come the Revolution: “Big breakthroughs happen when what is suddenly possible meets what is desperately necessary.” Then, after asking the audience to keep these three phrases in mind, Tedd went on to describe his civil rights activism while a student at Colorado State University in the late 1960s—activism that landed him under the scrutiny of authorities. Aside from redirecting him towards a career in building, Tedd made two points about his activism in the ’60s. The first concerned the overall moral and civil rights issues that would later connect directly to climate change; the second had to do with society’s tendency for timidity in the face of such challenges. As Tedd would point out later in his talk, with the climate change problem, we all will have to answer the call to action, instead of ignoring it, or even denying it—both responses being all too typical. After sharing this personal history, Tedd began with Friedman’s last, “desperately necessary” piece first, citing Nobel Prize winner, Mario Molina’s research into the chemicals showing up in our atmosphere that within a year would become a harbinger of the environmental emergency known as global warming. “Compassion means action,” said Tedd, and he pointed out that we already know how to combat climate change: slow the burning of fossil fuels, speed up the development of alternate energy sources, and mandate that we leave 2/3 of the fossil fuel reserves in the ground. Moreover, he pointed out that, according to the Global Commission on the Economy and Climate, as costly as this would be, it would be no more expensive than dealing with the damages caused by doing nothing. Moving on to the “suddenly possible” piece, Tedd segued to the subject of buildings: specifically, that when it comes to CO2 emissions, buildings are among the biggest culprits in their consumption of fossil fuels and overall contribution to global warming—and how this need not be the case. He pointed out that today, low energy and net zero fossil-fuel-free buildings are no longer epic prototype events, but a reality, so they may represent the lowest hanging fruit in meeting the 2030 Challenge. More than shelter, Tedd spoke of houses as sacred in our lives and critical to human development. Beyond this, he said that the quality and integrity of our homes are essential underlying and definitive elements of civilization. Then, recalling the recent housing meltdown, he emphasized that homes are not things to be plundered and gamed. We build homes to improve the quality of lives and advance civilization. To drive the point home, Tedd paraphrased Winston Churchill, saying the society we have builds our homes; thereafter, our homes build our society. This theme, woven throughout the speech, becomes the metaphor and hope for the challenges that the building industry faces as it begins to embrace the great breakthroughs in building science: breakthroughs available today that will lead to beautiful, comfortable, healthy, sustainable, and durable living environments while, at the same time, addressing climate change in a serious way. The Northwest EcoBuilding Guild conference theme, “Building Transformation through Transparency” had three primary goals: 1. to expand the patchwork of green buildings to whole neighborhoods, whole districts and whole communities, 2. to make exceptional green building practices the norm and 3. to ensure that “good building practice” is “green” by definition. As part of the conference, Tedd participated in the local Green Homes Tour hosted by the Seattle Chapter of the Guild: a bicycling event that combined two of his “greenest” passions: high-performance building and biking.